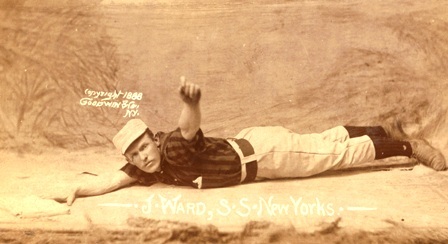 Ward, who had spearheaded the effort to create the first player’s union in 1885 and the creation of the Players League in 1890. 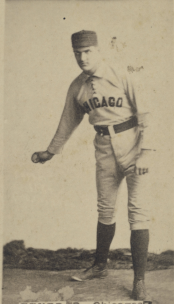 Tener jumped the Cubs to join the Pittsburgh Burghers in Players League in 1890; after posted a 3-11 record with an ERA of 7.31 Tener left baseball for the banking business, and ultimately politics. 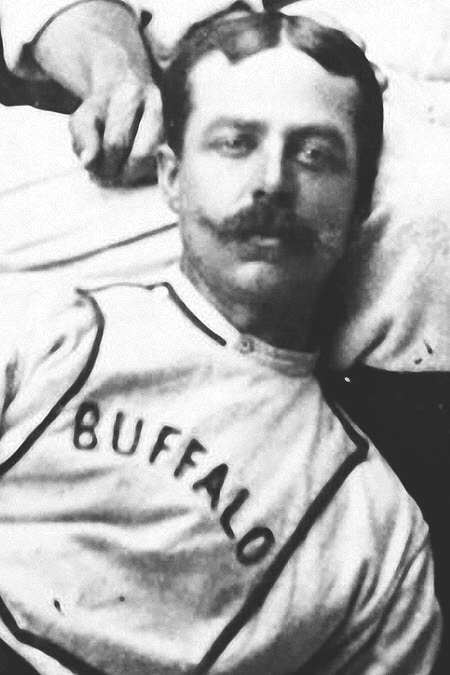 Fogarty also jumped to the Players League, joining the brotherhood team in Philadelphia; however he became ill during the season would die of tuberculosis in May of 1891. “Little William Earle…has already proven himself a first-class backstop (and) is still quite a lad, being only 21 years old. He is heavy-set has a jolly round face, an habitual smile and tightly curled hair. He rarely smokes, doesn’t drink and would almost sooner play ball than eat. Some of Goodfriend’s observations about Earle would prove to be wrong, as discussed in an earlier post. Goodfriend’s profiles of the White Stockings’ “stone wall infield” tomorrow. “Jovin” was actually Fred Jevne, a 26-year-old minor league veteran who had become an umpire just a month earlier. After joining the Spokane franchise in the Pacific Northwest League in April, Jevne was suspended in May for punching an umpire. 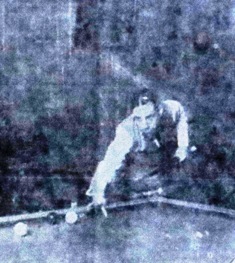 In July The Spokane Falls Daily Chronicle said Jevne and teammate Tom Turner “quit the nine because they were excessively fined and ill-treated.” According to the paper the two players showed up at the July, 1 game “in an intoxicated condition and acted like ruffians in the grand stand.” Turner was eventually reinstated and finished the season in Spokane, Jevne did not. 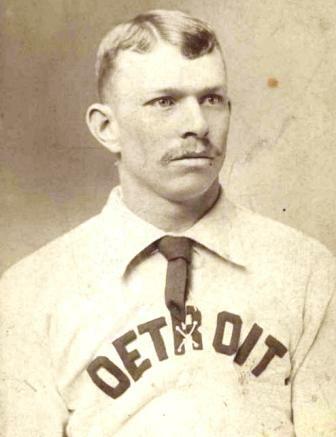 Jevne made one more attempt at playing, joining the Evansville Hoosiers in the Northwestern League in 1891. He then returned to the Western Association as an umpire. 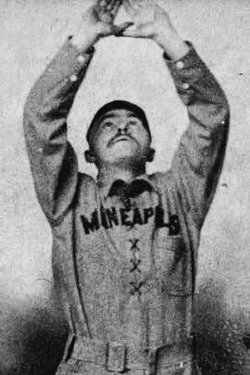 Jevne appears to have returned to the Southern Association for parts of the 1897 and ’98 seasons. 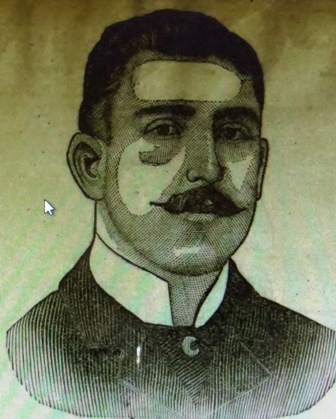 He spent at least part of 1899 and 1900 in his hometown, Chicago, where he worked as an umpire in some college games. 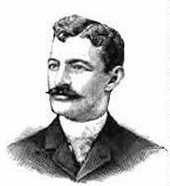 In 1901 Jevne became a Western League umpire and that year met with a violent and mysterious end. Initial newspaper reports said Jevne had fallen from a third story window in Denver’s Hotel Victor on August 2; he lingered for two days before dying. His body was returned to Chicago and he was buried at Graceland Cemetery. Whether Fred Jevne fell or was pushed from that hotel window has never been positively determined.